Does your megayacht have matching wheels? Edmiston & Company, “a world leader in the large yachting business” and Range Rover have teamed up for the first ever Edmiston Superyacht Range Rover Competition. Seven leading yacht designers submitted designs: Andrew Winch (based on name alone should win) Martin Francis, Terence Disdale (above), Ken Freivokh, Dickie Bannenberg, Tim Heywood (must be good because I could find their website) and Redman Whitely Dixon. The sketches will be on display at the Monaco Yacht Show next month and a winner will be chosen Sept. 25. Customers can order an actual model, for a mere €200,000 to €800,000, or nearly $300,000 to $1.2 million. While that may sound pricey, Edmiston points out that it is a bargain compared with the typical megayacht tender. The nautically inspired Range Rovers are also fuel efficient — at least compared with megayachts. Technorati tags: Range Rover, Edmiston and Company, Wall Street Journal, megayachts, Andrew Winch Martin Francis, Terence Disdale, Ken Freivokh, Dickie Bannenberg, Tim Heywood, Redman Whitely Dixon. Posted on August 14, 2008 August 14, 2008 Author Peter A. MelloCategories maritime, MarketingLeave a comment on Does your megayacht have matching wheels? Firefox 3 is now onboard! 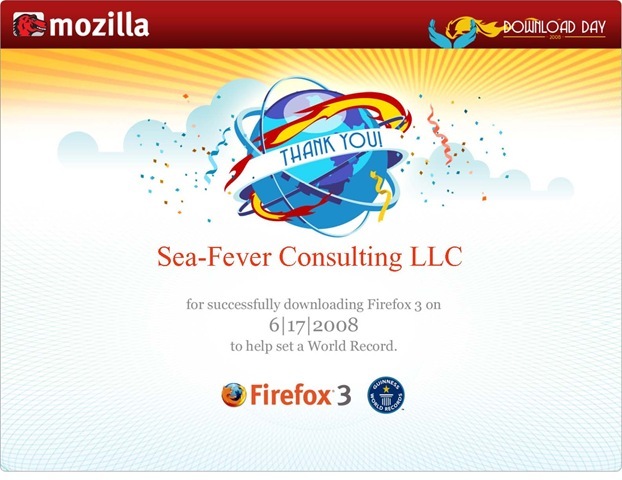 Posted on June 17, 2008 June 17, 2008 Author Peter A. MelloCategories life, Marketing, workLeave a comment on Firefox 3 is now onboard! Seriously, the guru of presentations is Garr Reynolds, the blog master of the must read Presentation Zen. He recently published a book which is not surprisingly titled Presentation Zen (Amazon link). When you have a winner, stick with it. Presentation designer and internationally acclaimed communications expert Garr Reynolds, creator of the most popular Web site on presentation design and delivery on the net — presentationzen.com — shares his experience in a provocative mix of illumination, inspiration, education, and guidance that will change the way you think about making presentations with PowerPoint or Keynote. Presentation Zen challenges the conventional wisdom of making “slide presentations” in today’s world and encourages you to think differently and more creatively about the preparation, design, and delivery of your presentations. Garr shares lessons and perspectives that draw upon practical advice from the fields of communication and business. Combining solid principles of design with the tenets of Zen simplicity, this book will help you along the path to simpler, more effective presentations. Plans to promote the 2012 Olympics using a ship sailing around the world advertising Britain’s “cultural riches” have been ditched, the BBC has learned. London’s successful bid team promised that the ship – named the Olympic Friend-ship – would spend four years traveling around the world. The full-size ocean-going clipper had been due to set sail this August. Crewed by young people, artists, philosophers and students, the ship was to be run by professional officers. What a shame! Back on January 4, 2008, Hugh Muir wrote an article in the Guardian entitled Olympic ship plan drifts into troubled waters which highlighted that the sailing ship plan was an integral part of London’s winning bid and that environmental advocates were upset by this significant change. In may years as executive director of the American Sail Training Association I witnessed dozens of similar grandiose ship plans never get launched. This one is really too bad because a tall ship sailing ambassador on a youth sail training mission celebrating the spirit of the Olympics would have been something special. Frankly, I think that London 2012 would be better served to jettison their ugly logo and not abandon their majestic ship plan. Disappointed by a sad crop of Super Bowl ads? Here’s a fun promotion for Mondo Pasta that ran in Hamburg harbor. 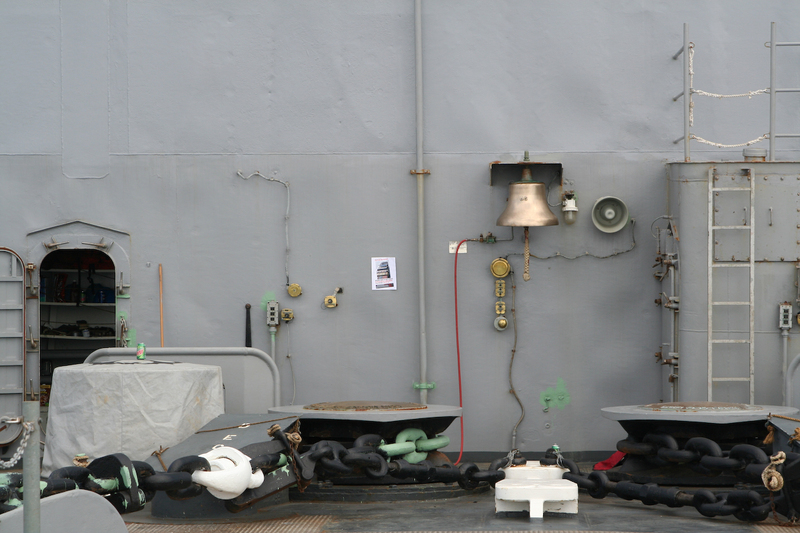 Posted on February 5, 2008 February 5, 2008 Author Peter A. MelloCategories maritime, Marketing1 Comment on Pasta mooring lines! 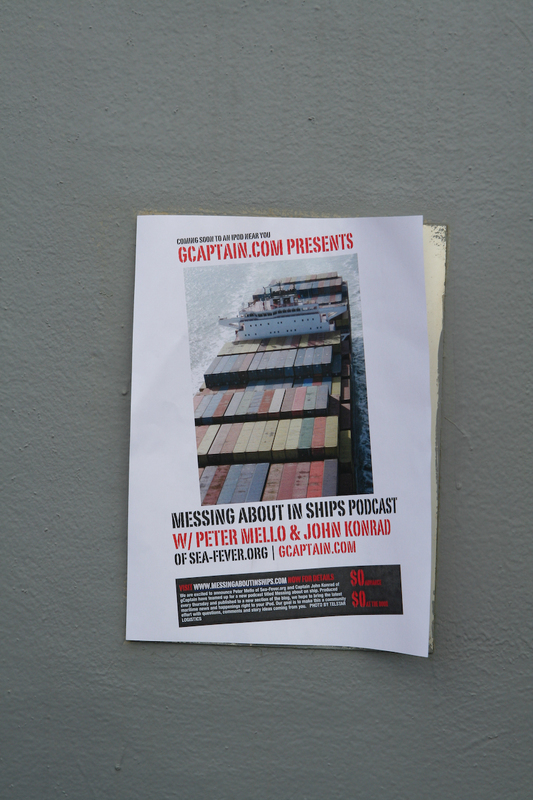 US Navy Sets the bar pretty high in the Messing About In Ships podcast poster contest! The first entry to the Messing About In Ships Print and Post Sticker Contest was sent by CDR Michael Junge USN, Commanding Officer USS Whidbey Island (LSD 41) and well I think he set the bar pretty high. Are you up to the challenge? Make sure you check out their website. Note to John: I think we need a bigger poster! 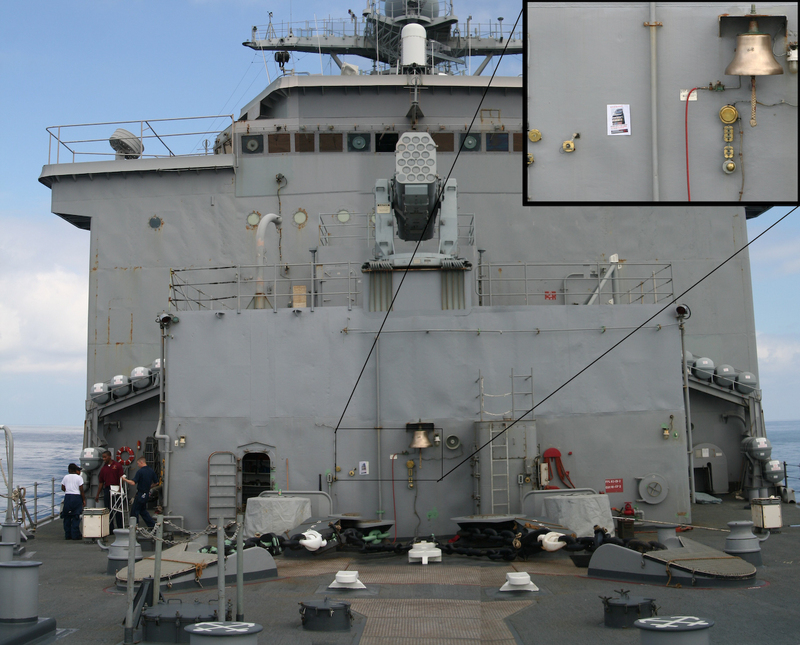 Posted on January 28, 2008 January 28, 2008 Author Peter A. MelloCategories maritime, Marketing1 Comment on US Navy Sets the bar pretty high in the Messing About In Ships podcast poster contest!